Albania claimed their first win at a major tournament after beating Romania 1-0 in the final group A game. 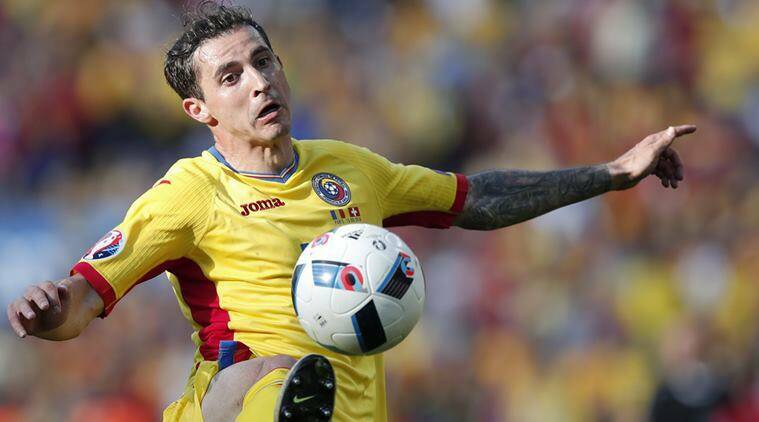 Albania handed Romania a 1-0 defeat and kept their hopes of making their chances to Last 16 alive. This was their first win at a major tournament. 43′ GOAL! Sadiku scores! Cross by Memushaj and the keeper caught in no man’s land. Headed in with ease and Albania lead 1-0! 22′ CHANCE! Huge moment for Albania. Lenjani is offside but he just skied in front of an open net. Great build up play though. Bogdan Stancu’s achievement in becoming the first Romanian to score twice at a European Championship would mean nothing if his team failed to progress to the last 16, the striker said on Thursday.